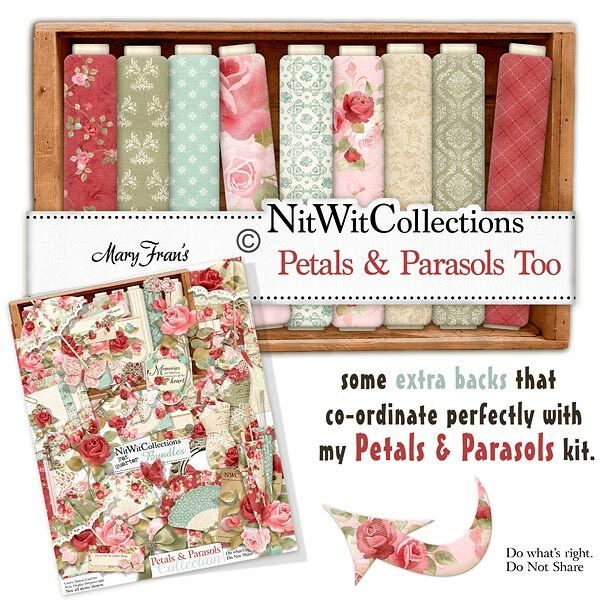 "Petals & Parasols" Too allows for so many more creative options when using this digital kit. Don't miss the Vines, Stationery and Roses papers as these background papers are NOT included in the FQB "Petals & Parasols" Collection! 24 Digital background papers that coordinate and colour match my FQB "Petals & Parasols" Collection.